As the Editor In Chief for HipHopDX.com, Jake Paine prides himself on his experience with every corner of hip hop culture and the growth of the music that has become the soundtrack to an entire generation. 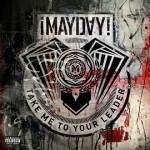 The massively popular website has become a one-stop shop for all things current in hip hop and in recent months, has given plenty of love to Strange Music’s ¡MAYDAY!, whose Take Me To Your Leader earned the highest user-rated album in the last year on HipHopDX.com. 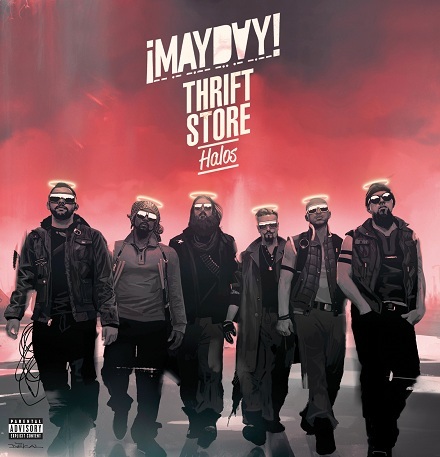 With the upcoming release of Thrift Store Halos, we spoke with Jake Paine recently to get his thoughts on ¡MAYDAY! and why Take Me To Your Leader is quite possibly one of the best Strange Music releases ever. Tell us what do you think about the other artists and releases that Strange has put out this year. What can you tell us about the output that’s coming out of Strange Music this year? As far as ¡MAYDAY! goes, you know I was actually spending some time online when I used to work at AllHipHop.com, we interviewed ¡MAYDAY! in either 2005 or 2006. I’d done some work with their manager, working on a book years ago. We’d be working on the book together and he would be like, “Yo, check out this new song they did.” I’m not a big fan of rap/rock, I never have been. I was not a huge Korn or Limp Bizkit type of dude. I love rock and I love rap and most of the time, I don’t think they should mix. So when Take Me To Your Leader came out, I probably didn’t hear that right away. You know, it wasn’t at the top of the pile in my mind. I’ve always respected ¡MAYDAY!, they’re hella cool guys, but when I listened to the album, that is honestly my biggest surprise this year. It is without a doubt in my top five albums of the year. I just met in Phoenix, AZ with all of my editorial staff-mates and we we’re just sitting around talking about what our albums of the year are. Every single one of us said Take Me To Your Leader. You know, Kanye makes an album or Tech N9ne makes an album, Nas makes an album or Three Stacks, you always kind of assume that if it’s good, if it lives up, that it will be in that discussion at the end of the year. Honestly, I didn’t see that coming with Mayday. I know Travis said it was one of his favorite albums in Strange Music history. To me, that is probably my favorite Strange Music album not made by Tech N9ne. It was definitely a sleeper hit. It definitely slipped in from a part of the radar that we were not looking at. But, it does retain a lot of that boom bap, that I’m sure that you probably love. That’s the weirdest part to me. Maybe it’s a classic case of hip hop not judging things on sight. Certainly their live shows are very band-oriented, but I don’t think Take Me To Your Leader is a rap/rock record. I think it’s just a hip hop record. You know, like The Roots, Stetsasonic, or Public Enemy projects that just happen to have great live instrumentation. To me, I think ¡MAYDAY! shook that stigma. The guests that they chose are remarkable. Truly, I know that we’re a feature heavy culture. I love Murs’ spot on the album. I’m in Tucson, AZ right now, where Murs lives. He’s one of my favorite emcees, but honestly, ¡MAYDAY! didn’t need guests on that. They didn’t rely on it. I think they proved that as a unit, they have what it takes to be great. CLICK HERE TO PRE-ORDER THE THRIFT STORE HALOS EP. What kind of expectations do you have for Thrift Store Halos?